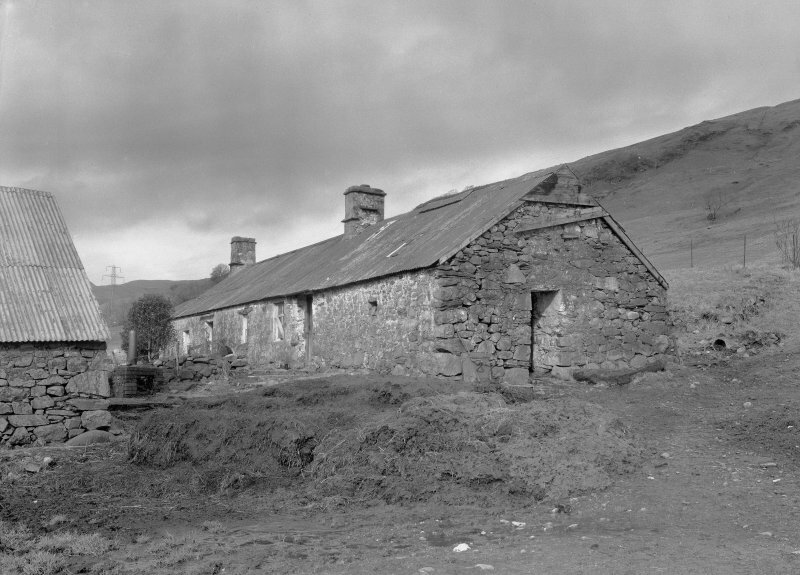 Auchindrain, Building E. View from South. Auchindrain, Building D. View of cruck near byre door. 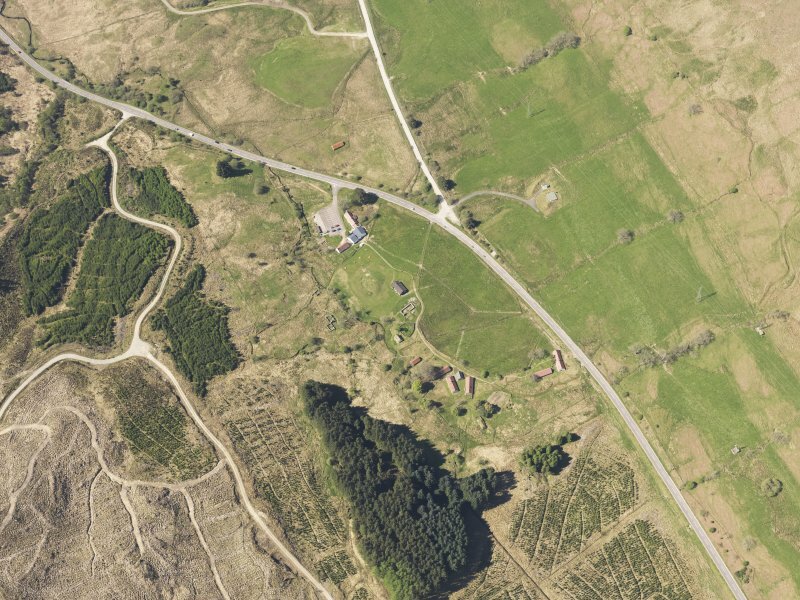 General oblique aerial view of Auchindrain Open-Air Museum, taken from the WSW. 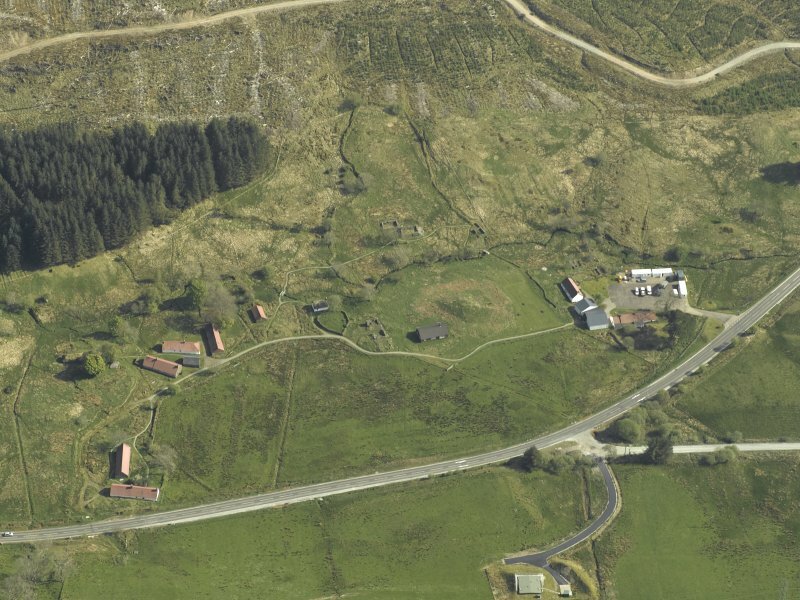 General oblique aerial view of Auchindrain Open-Air Museum, taken from the W.
Oblique aerial view of the museum and the remains of the township, taken from the N.
Auchindrain, Building M. View from South. Auchindrain. View of part of township from North East. 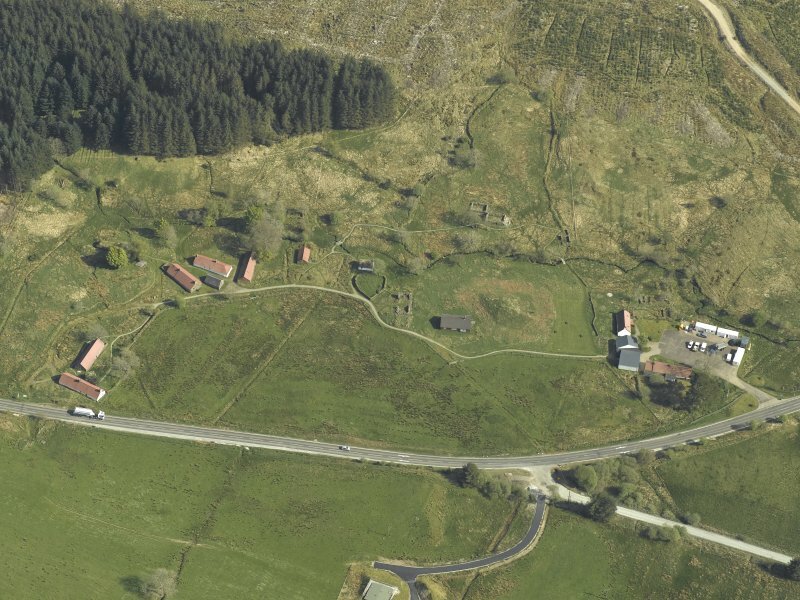 Oblique aerial view of Auchindrain Open-Air Museum, taken from the E.
General oblique aerial view of Auchindrain Open-Air Museum, taken from the WNW. 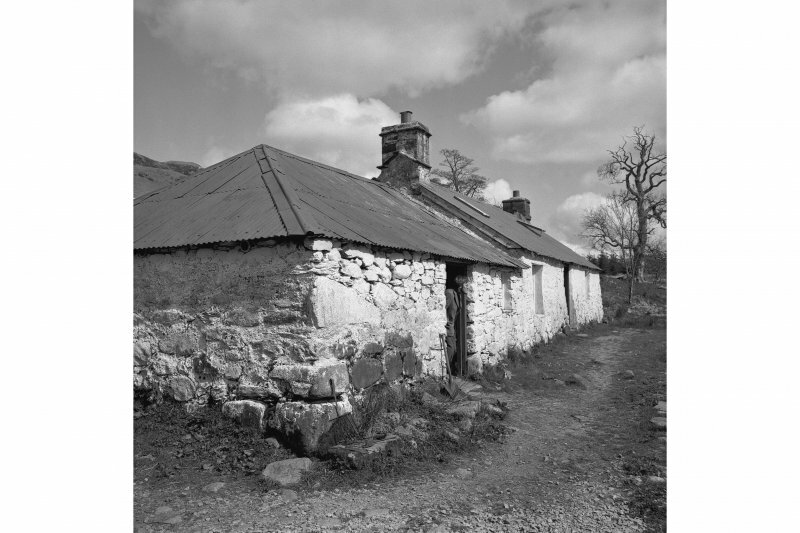 Auchindrain, Building H. View of house and byre. 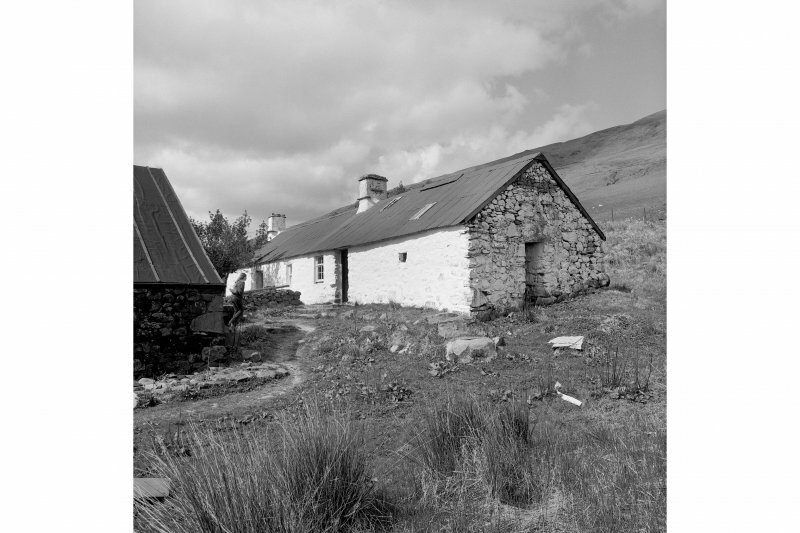 Auchindrain, Building B. View of barn from North. 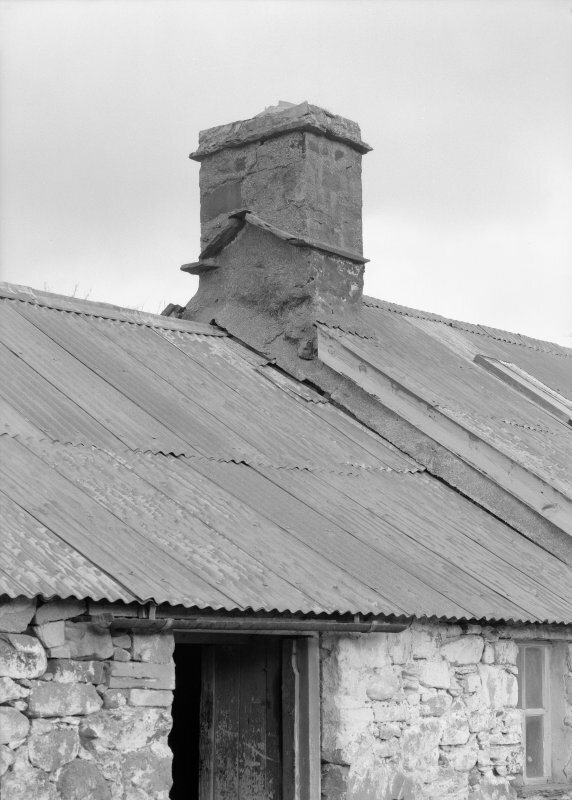 Auchindrain, Building H. Detail of chimney drip-course. 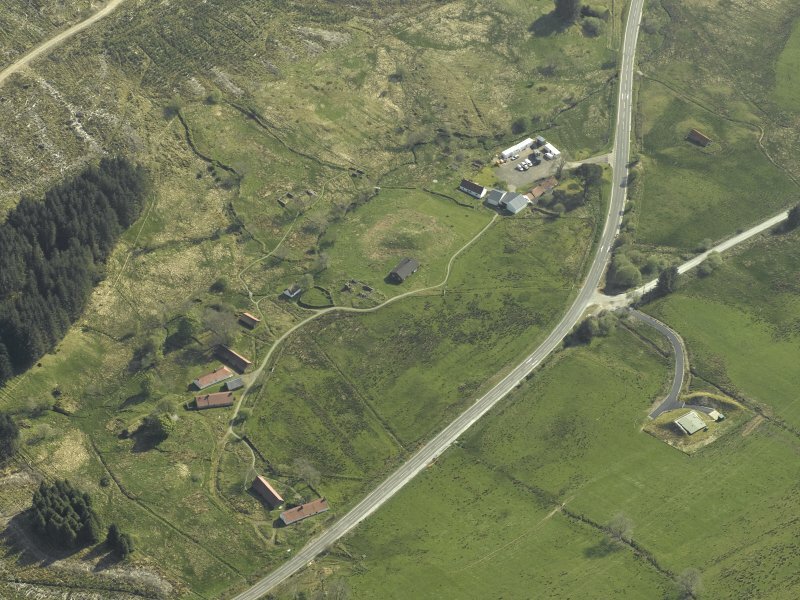 Oblique aerial view of Auchindrain Open-Air Museum, taken from the ENE. 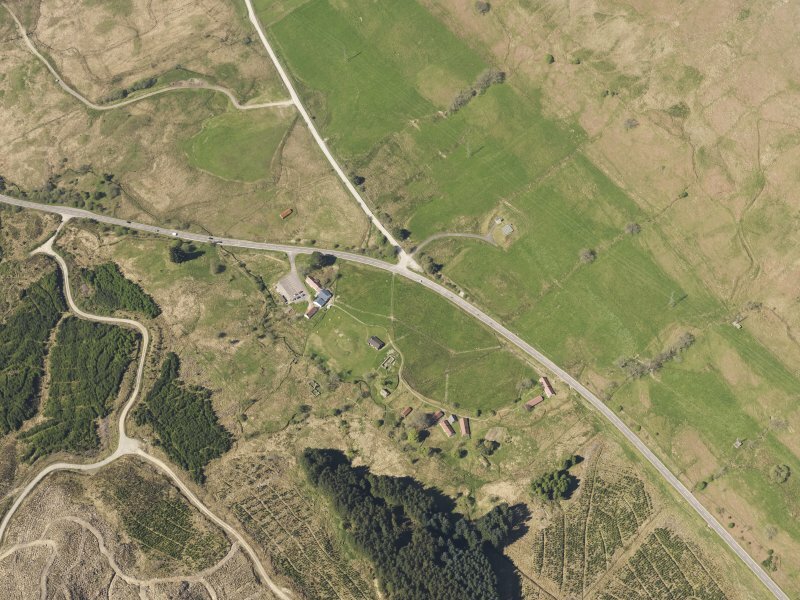 Oblique aerial view of Auchindrain Open-Air Museum, taken from the SSE. 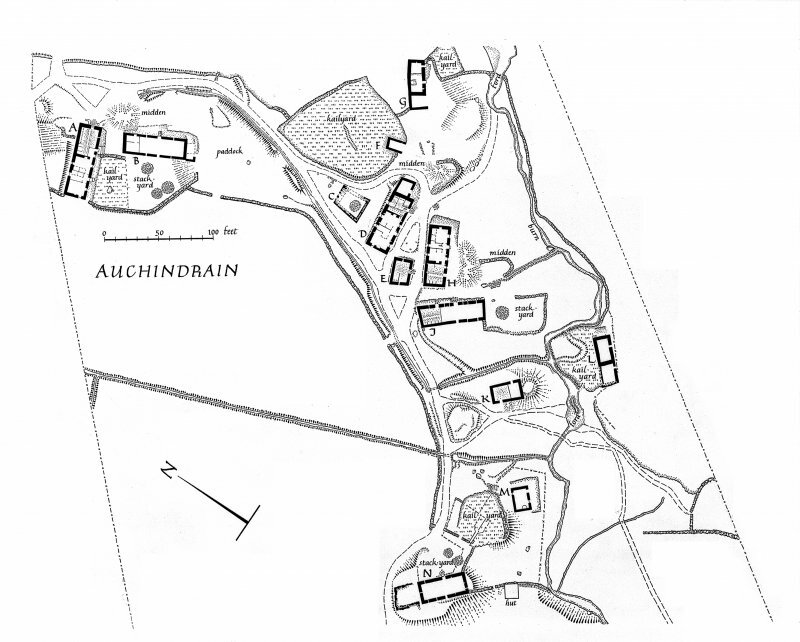 Auchindrain, Building D. Photographic copy of plan showing original and second period building. 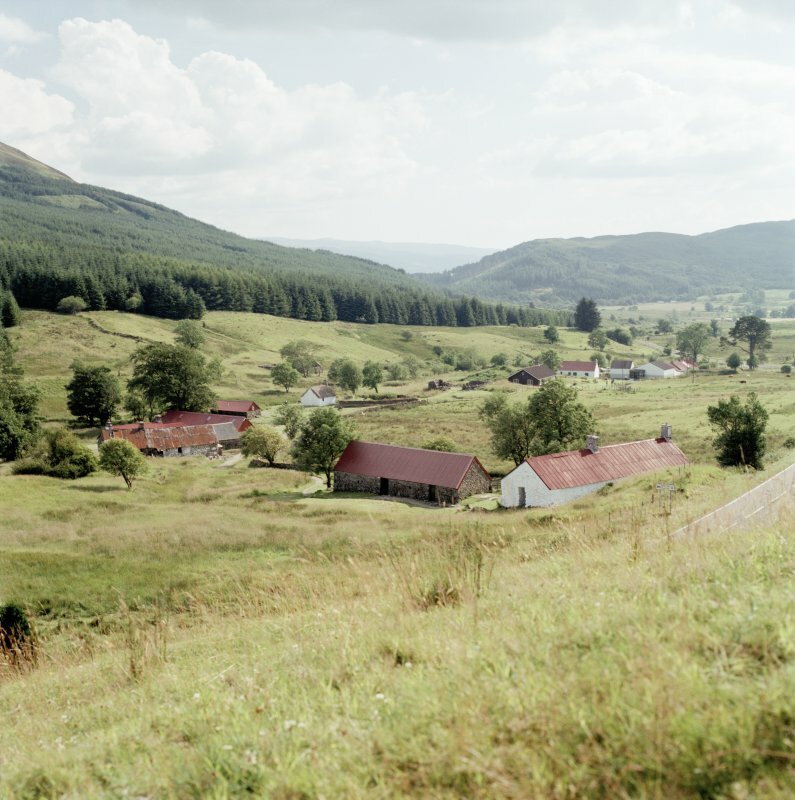 Auchindrain, Building A. View of house and byre from East. 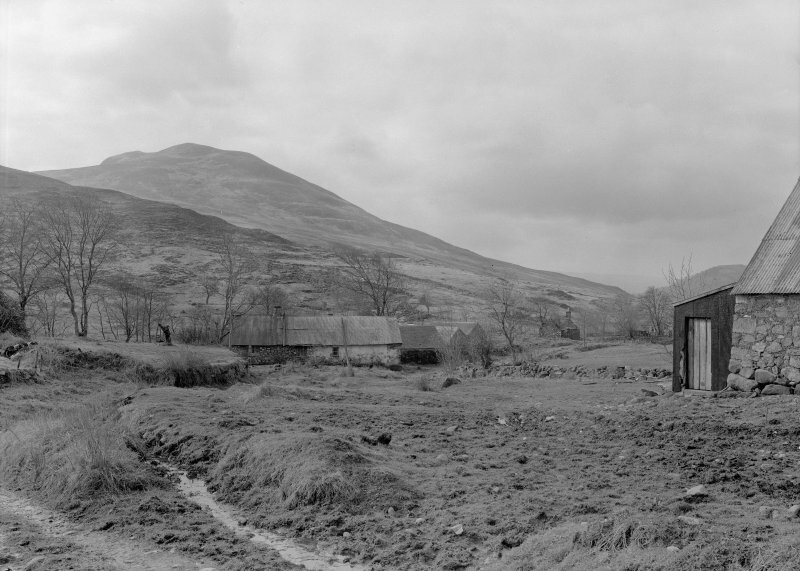 Auchindrain, Building N. View from East. 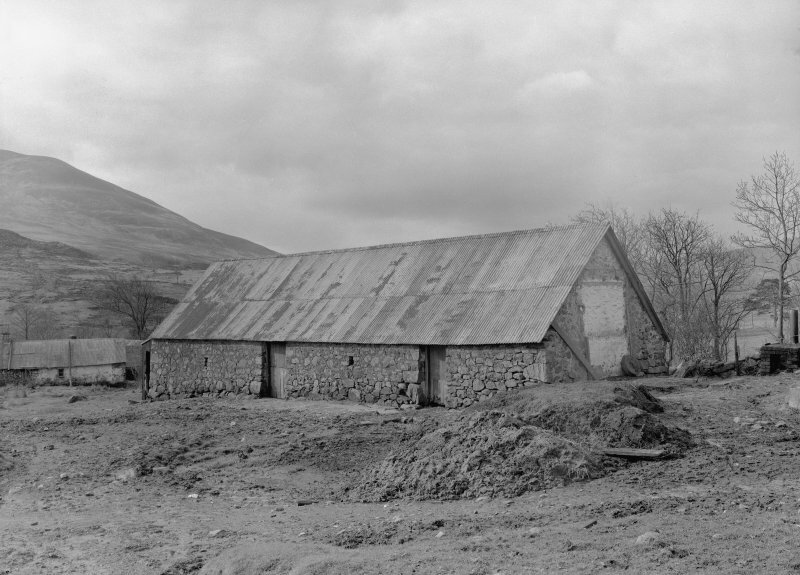 Auchindrain, Building M. General view. 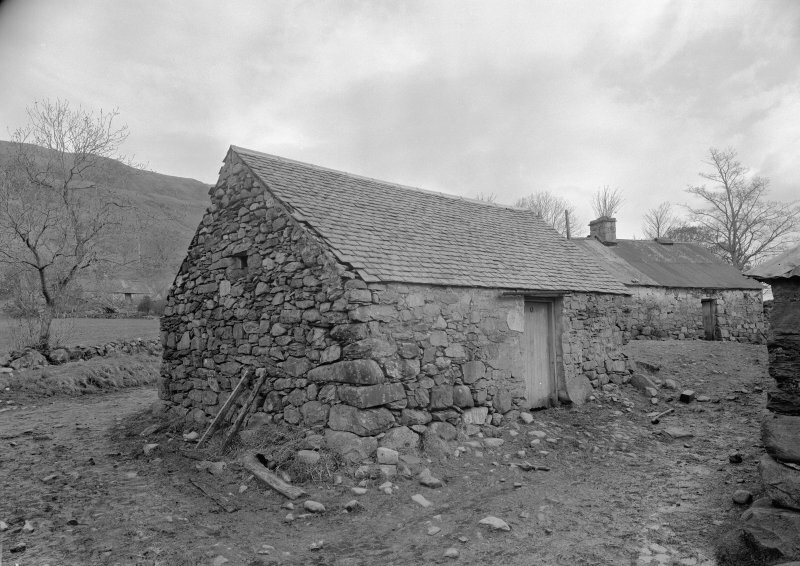 Auchindrain, Building J. View from East. 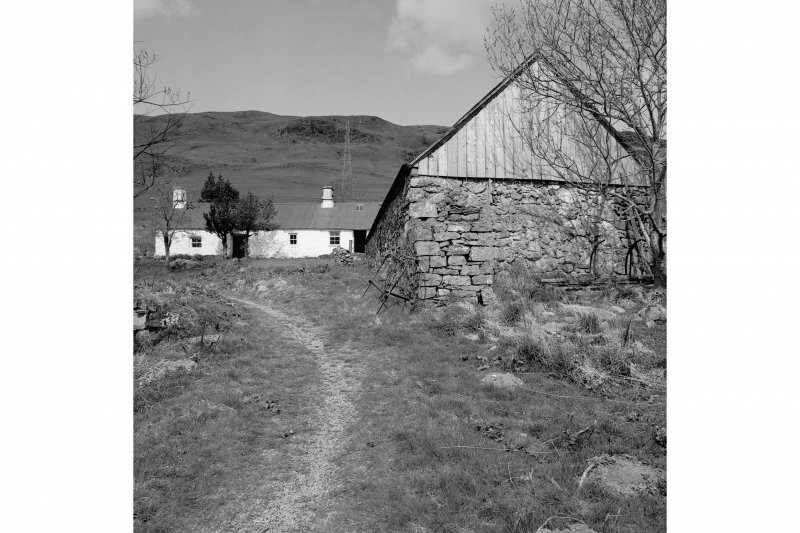 Auchindrain, Building H. View from South. 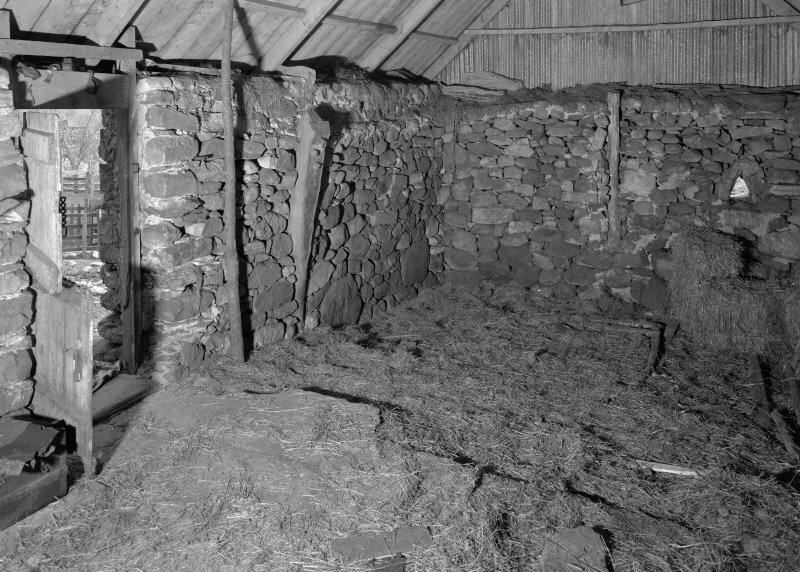 Auchindrain, Building A, interior. 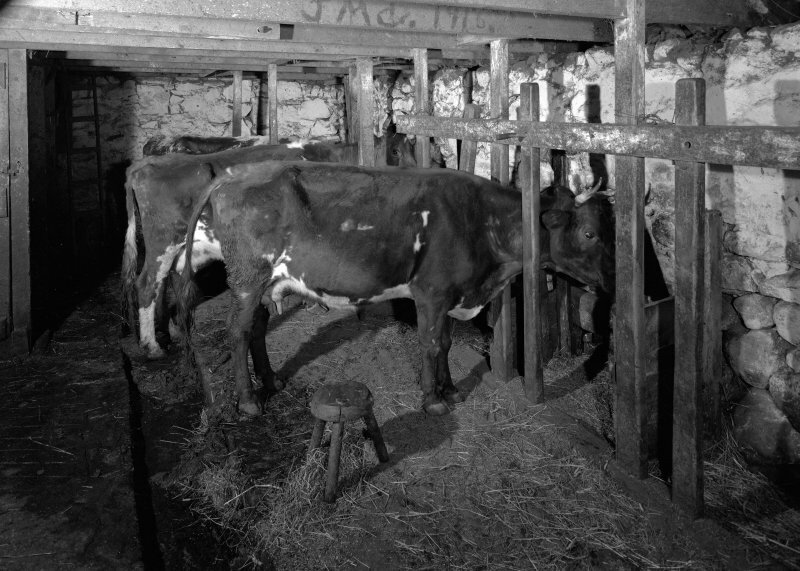 View of byre, showing cows. Auchindrain, Building D. View of West window in North wall. Auchindrain. General view of eastern part of township from North East. Digital image of B 19335 CN. Auchindrain, Building D. View from South East. Auchindrain. General view from North East. Auchindrain, Building H, interior. View of box beds. 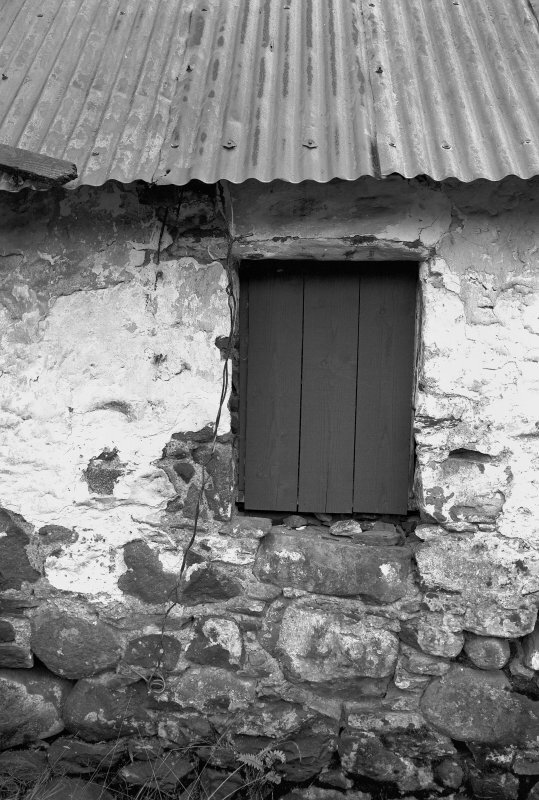 Auchindrain, Building D, interior. View of fireplace with swee. Auchindrain. View of part of clachan (township) from West. 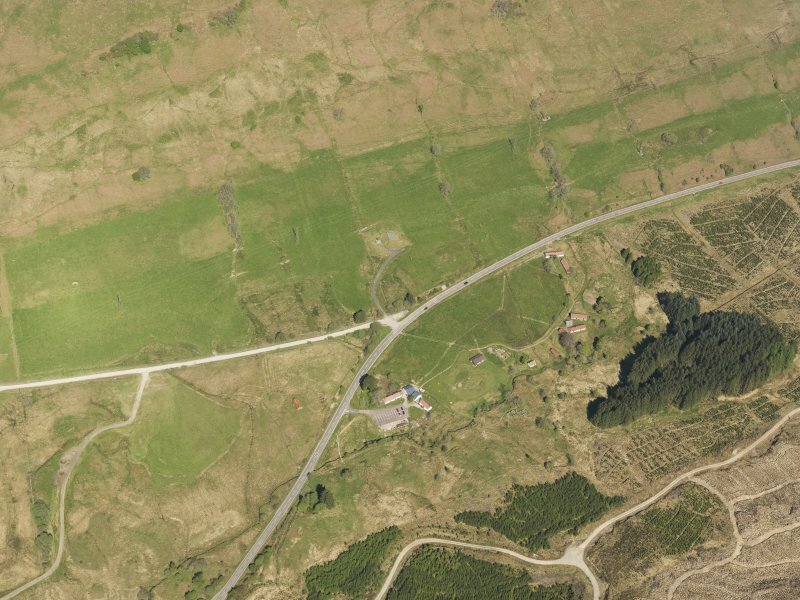 Oblique aerial view of Auchindrain Open-Air Museum, taken from the ESE. 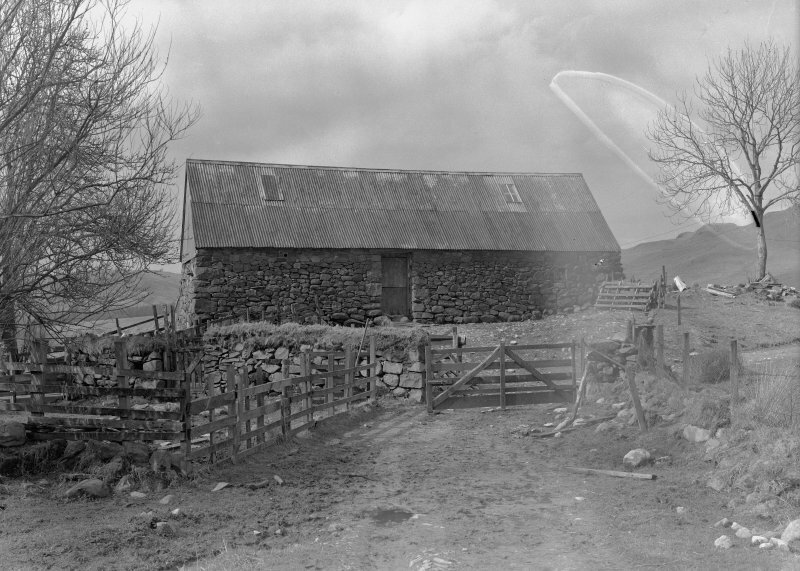 Scanned image of Auchindrain, Building G. View from South West. 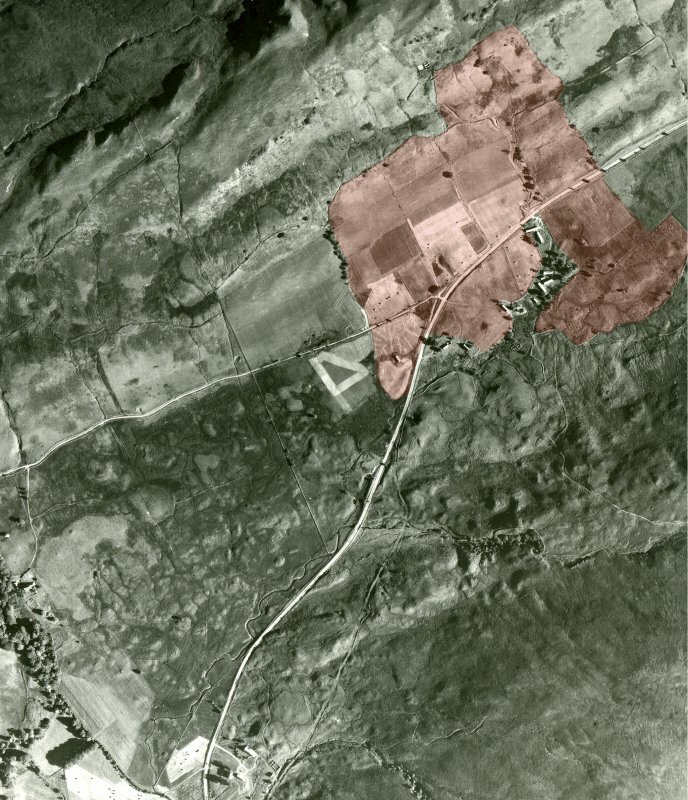 Oblique aerial view of the museum and the remains of the township, taken from the NW. Oblique aerial view of the museum and the remains of the township, taken from the NNW. Auchindrain. View of part of clachan (township) from across burn (from South East). Auchindrain, Building K. View from East. 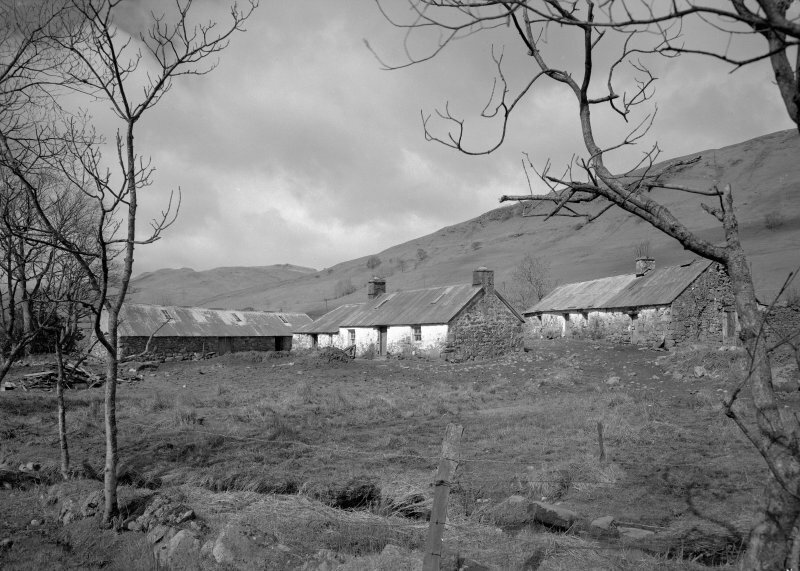 Auchindrain, Building H. View from North East. 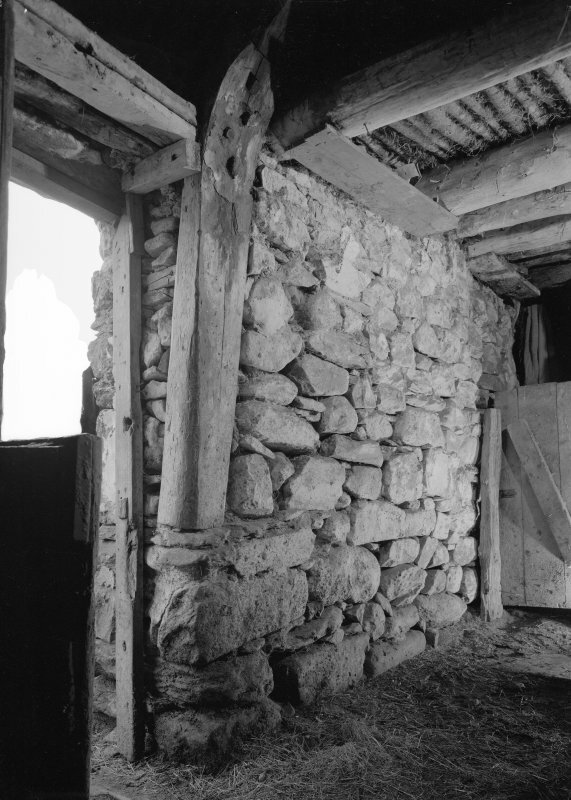 Auchindrain, Building N, interior. 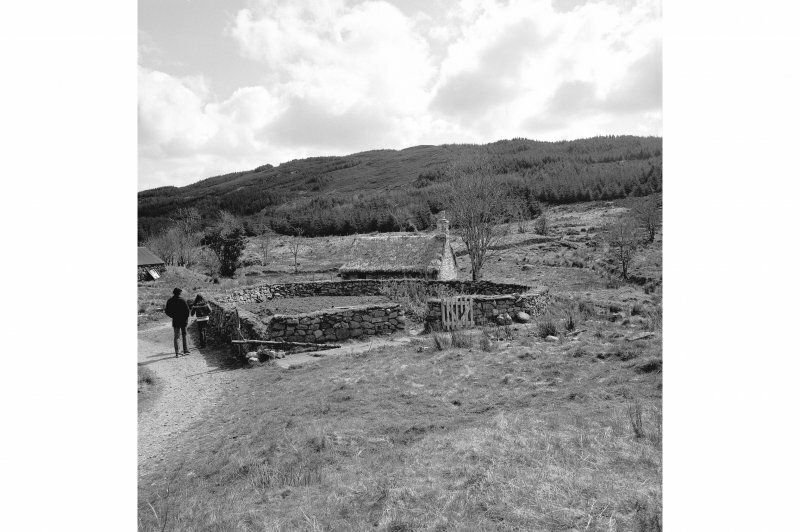 View showing stumps of transverse and hip-end crucks..
Auchindrain, Building D. View of byre doorway showing cruck-blade. Auchindrain. View of part of clachan (township) from East. 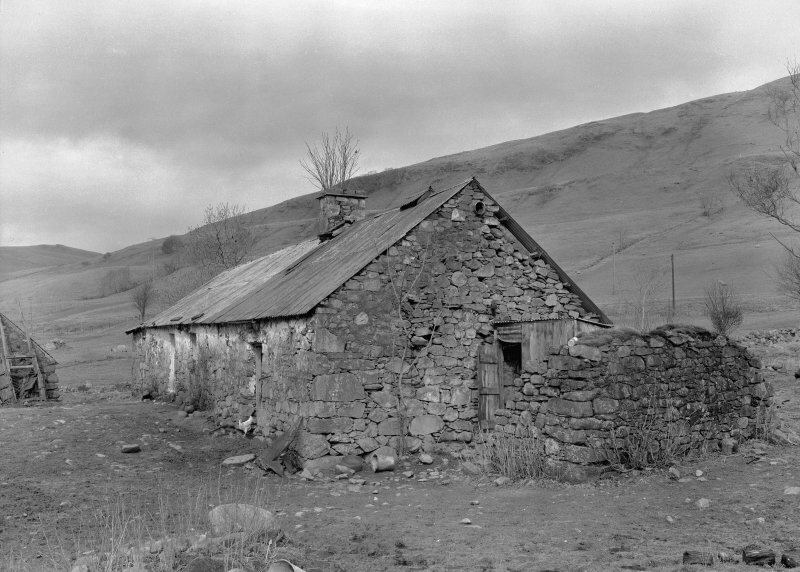 Auchindrain, Building J. General view. 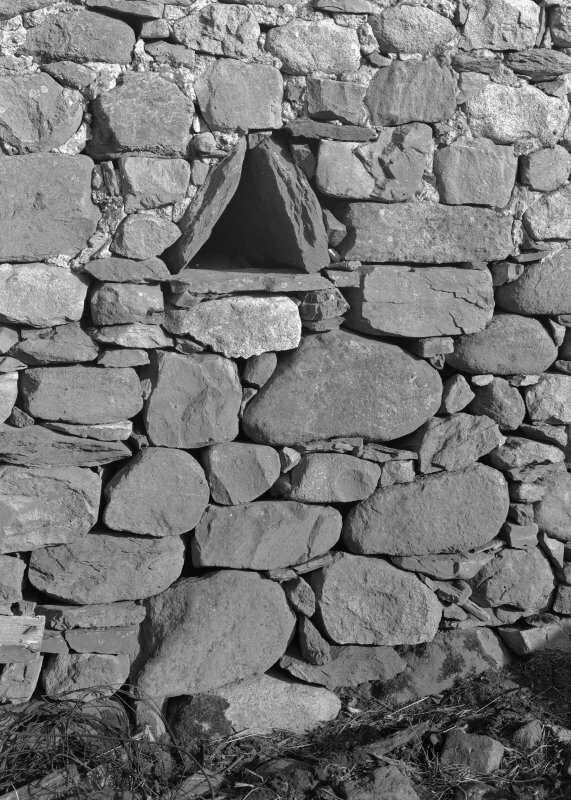 Auchindrain, Building N. Detail of triangular ventilator in barn. 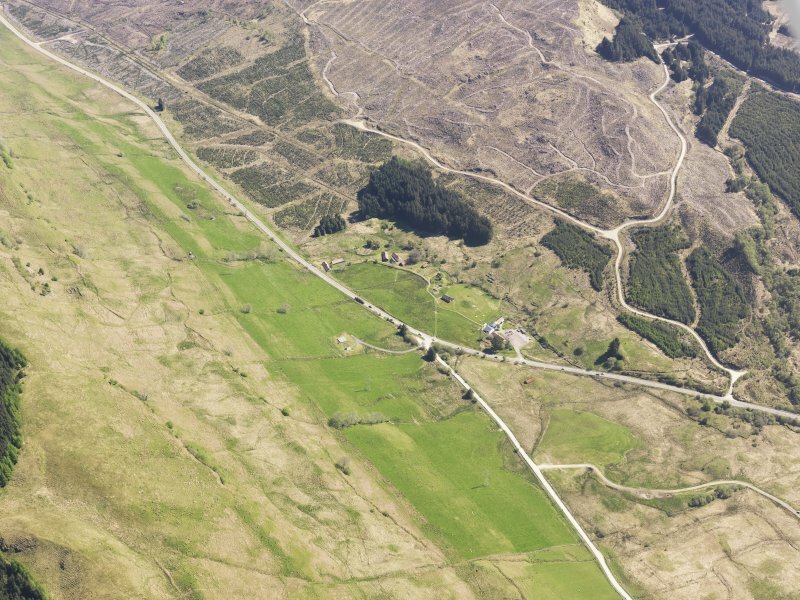 Oblique aerial view of Auchindrain Open-Air Museum, taken from the NE. 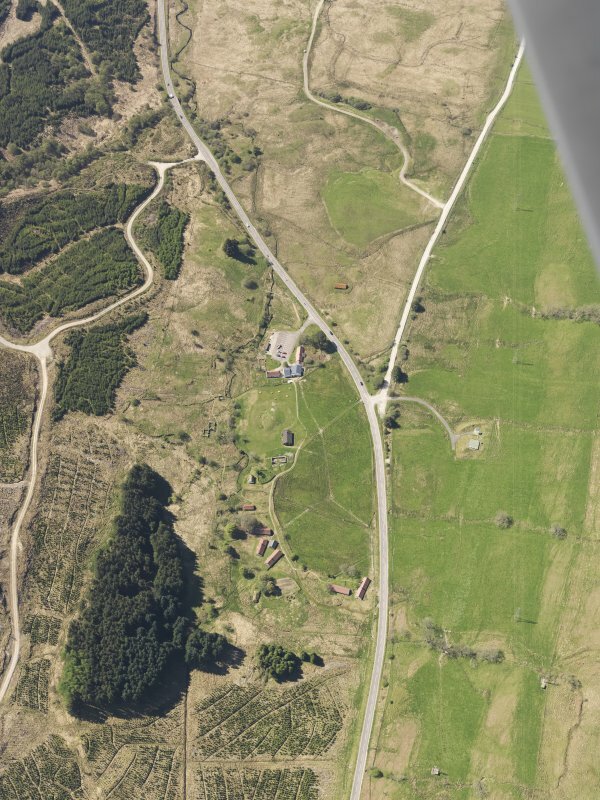 Oblique aerial view of the museum and the remains of the township, taken from the SSW. 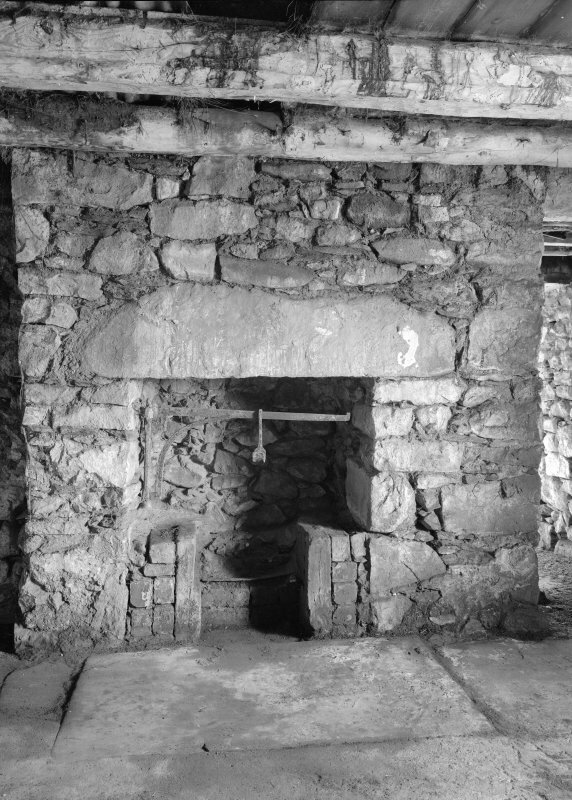 Auchindrain, Building J, interior. 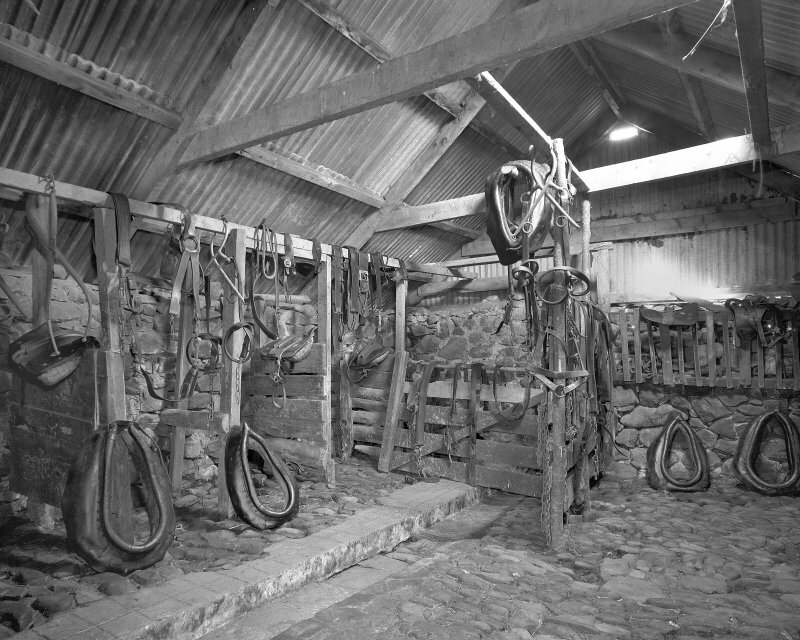 View of stable. Cruck construction noted in buildings D, H and N.
A township, comprising twenty-three roofed, two partially roofed buildings and one unroofed building and ten enclosures is depicted on the 1st edition of the OS 6-inch map (Argyllshire 1875, sheet cxl). Eight roofed buildings, one partially roofed building, four unroofed buildings and one enclosure are shown on the current edition of the OS 1:10000 map (1977). Information from RCAHMS (AKK) 20 July 1998. 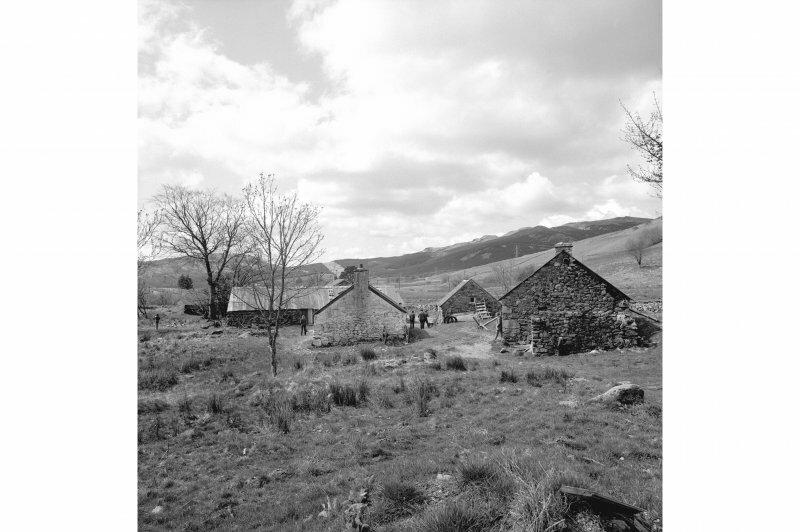 Even in 1845 it was recorded that the quantity of rain which falls in this parish of Inveraray is 'prodigious', and it is important to choose a good day to visit the restored township of Auchindrain in order to make the most of the scattered buildings, many furnished in meticulous detail. 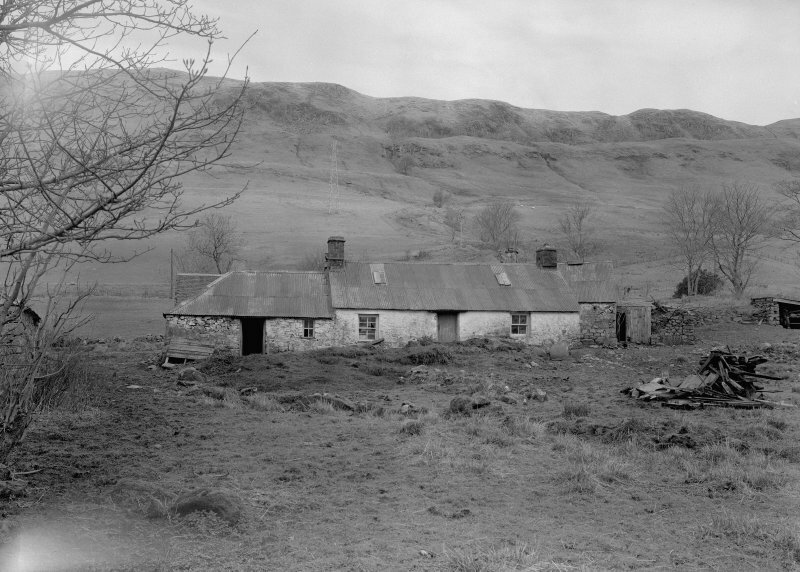 As it stands today Auchindrain illustrates the type of joint-tenancy holding that would have been common around 1800 and indeed before. Twelve tenants paid their rent jointly to the Duke of Argyll and each had a share of the arable land, by dividing it into strips or rigs, and also of the common grazing. The number of rigs to be worked and the number of beasts each tenant was allowed to graze was determined by his share in the tenancy. 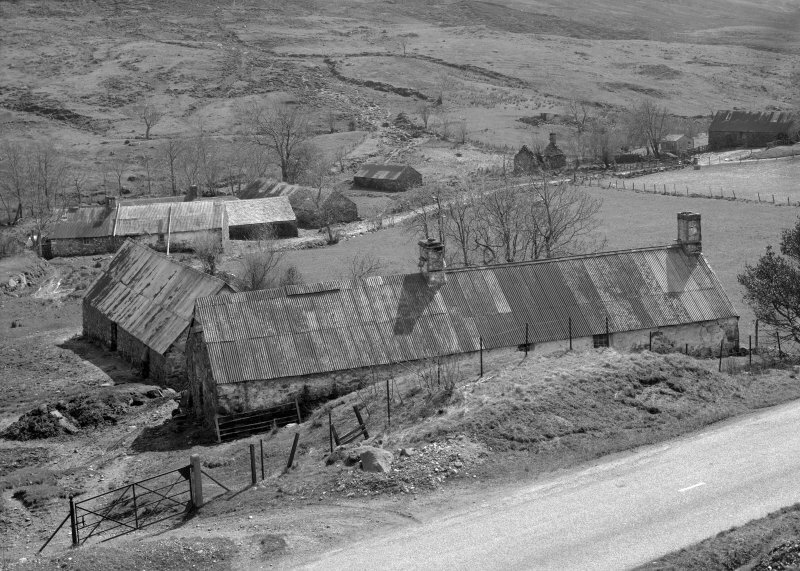 Auchindrain thus shows the way the land was worked before the adoption of large-scale sheep-farming from the later part of the 18th century onward. 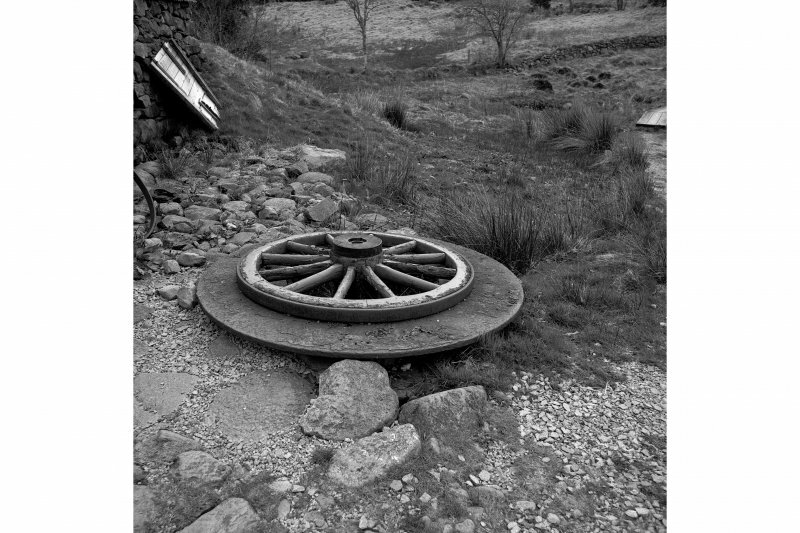 The families remained the Duke's tenants, and the fields and slopes were not enclosed by the massive dykes of the lowland farmers. 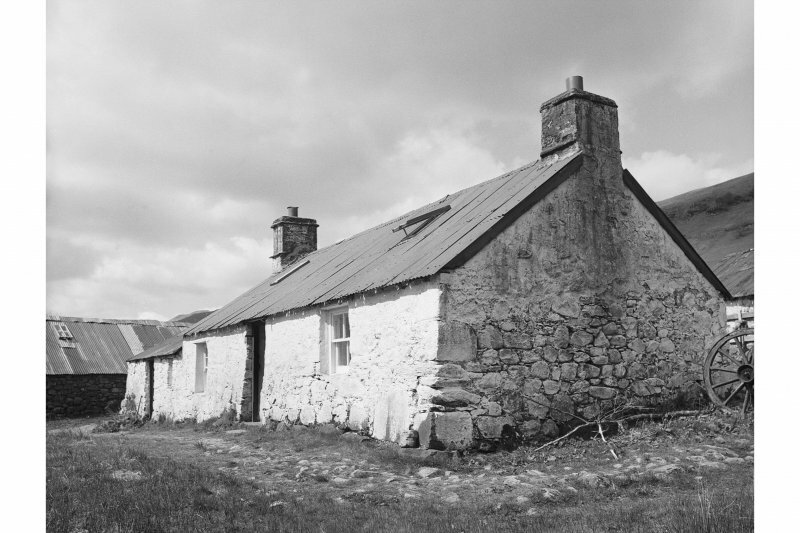 Thus Auchindrain remained until about 1935, and the last tenant lived in house A until 1954. There are twenty buildings in the complex: houses, longhouses (byre and dwelling combined), barns, sheds and stables, and an excellent display in the information centre sets the scene before one ventures out to the township buildings. 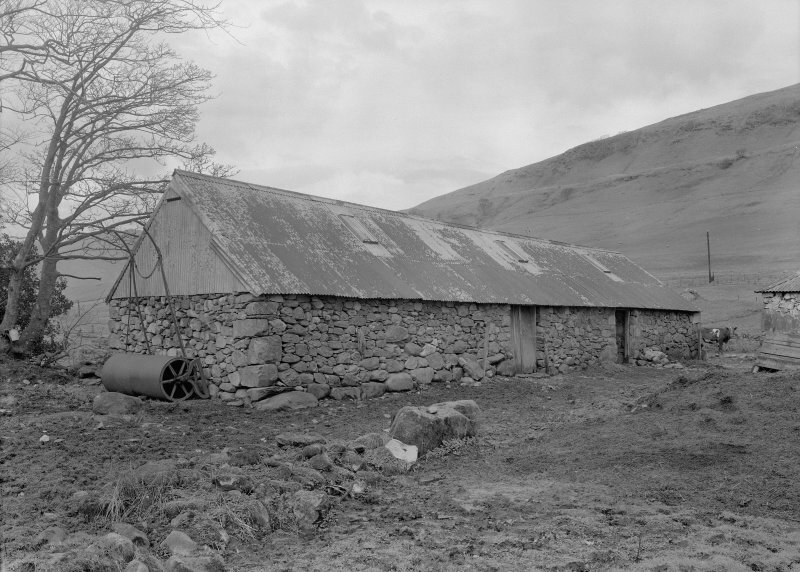 Most have drystone walls with the roof supported on cruck-frames and employing turf; straw or heather thatch, though several were replaced with corrugated iron in the early 20th century. Building N, immediately to the northeast of the modem house, is a barn with adjacent stackyard; the opposing doorways are to provide a through draught for winnowing. The adjacent little house (M), probably built in the 1870s, is the equivalent of today's sheltered housing, for if the village supported an indigent person it was exempted from paying the Poor Rate. K is a shed currently with a display of smith's tools. J, Hand Dare longhouses with D perhaps the oldest in the township. House H has been furnished to show what it would have been like in the 1890s. House A on the other hand is probably the most recent, dating to about 1820; the arrangement of living and byre accommodation gives a good impression of what a country cottage of the middle of the last century looked like. 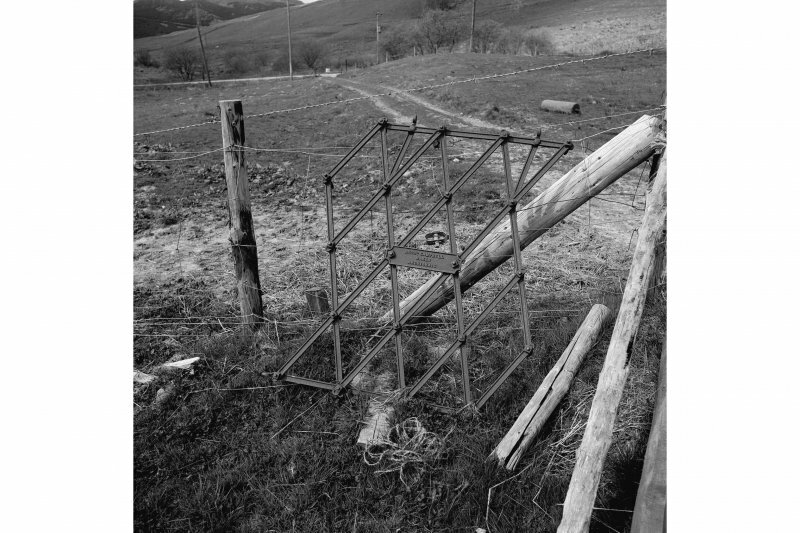 The ingenious method of restraining cattle in the byre is shown in the photograph: one of a pair of upright posts could be moved to allow the cows head into the gap, and the most was then pegged back into position. Several of the buildings on the south-east side of the little burn that runs through the township are currently being restored, and visitors can see the various building-and roofing-techniques of the past being put into practice. There are several isolated kailyards or walled kitchen gardens, which produced both green vegetables for the community and also fruit; sometimes flax was grown. 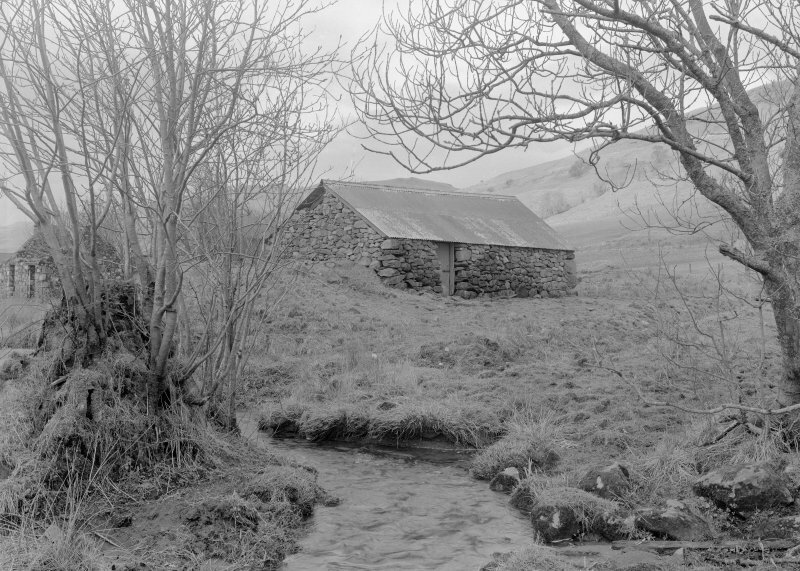 One important aspect of the west Highland economy cannot be shown at Auchindrain-the summer shieling; the cattle were taken away from the township so that they should not trample on the growing crops, and between June and August many of the women and old folk would have tended the cattle in the hills on either side of the Douglas Water where the township had its summer grazings, and where the shieling-huts were made ready each year by an advance party. NN 03099 03161 Two evaluation trenches were opened across Building N in June 2010. 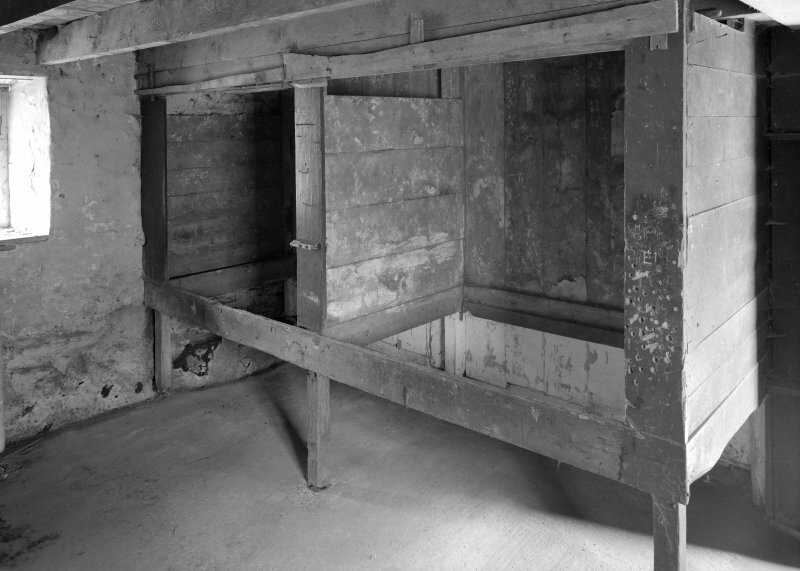 The evaluation aimed to establish the original placement of doors across the building and to determine floor levels prior to reconstruction work. Two further trenches were opened over the footings of an earlier building to the NW. A watching brief undertaken in April 2011 recorded a cobbled surface or track to the rear of Building A. The surface probably dates to after 1820, when the house was presumed to have been built, whilst pottery from a midden accumulation over the track dated to the later 19th century. A distinct knoll at the rear of the house was found to be a natural feature. NN 03099 03161 A total of 23 evaluation trenches were opened, January–February 2011, across the less well known and less well preserved buildings on the site. The work aimed to establish the preservation state of the upper archaeological deposits and recommend measures for their protection. 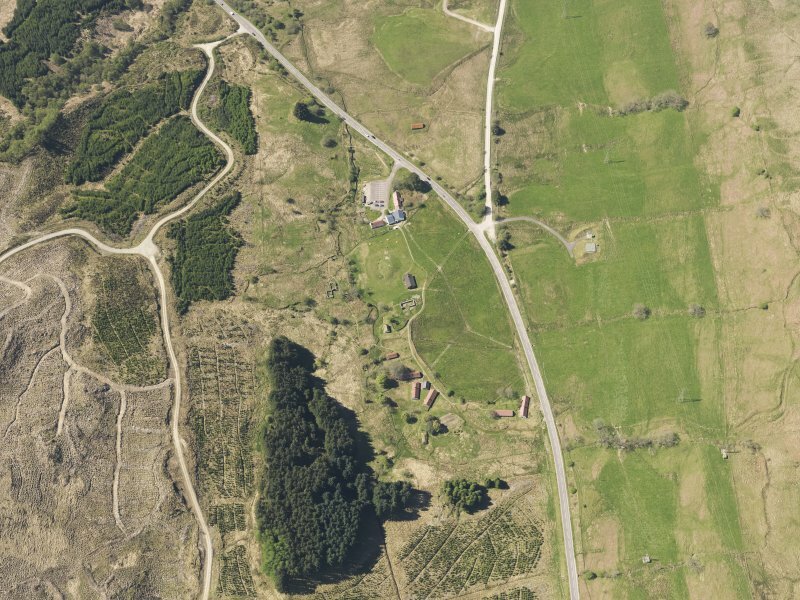 The evaluation also revealed the remains of an earlier alignment of buildings, which possibly related to buildings shown on a map dated from 1789. NN 03099 03161 A watching brief was carried out January – February 2012 on work associated with the installation of drainage around several buildings in the W of the settlement. Several surfaces were recorded and the majority appeared to relate to the upstanding 19th-century buildings. The possible exceptions were a surface seen at the N end of Trench 1 and another seen at the W end of Trench 8, both of which may relate to a suite of buildings depicted on Langland’s estate map of 1789. Several former drainage systems were also recorded, mainly ceramic land drains and more recent concrete and plastic drains. NN 03167 03234 Reconstruction cottar’s house, part of the Auchindrain open-air museum of a traditional Scottish Highland farm township. The building is part of a group listing with 22 other structures. Historic maps have shown a building on this site in both 1789 and 1871, however, by 1946 the building on this site was abandoned and roofless. 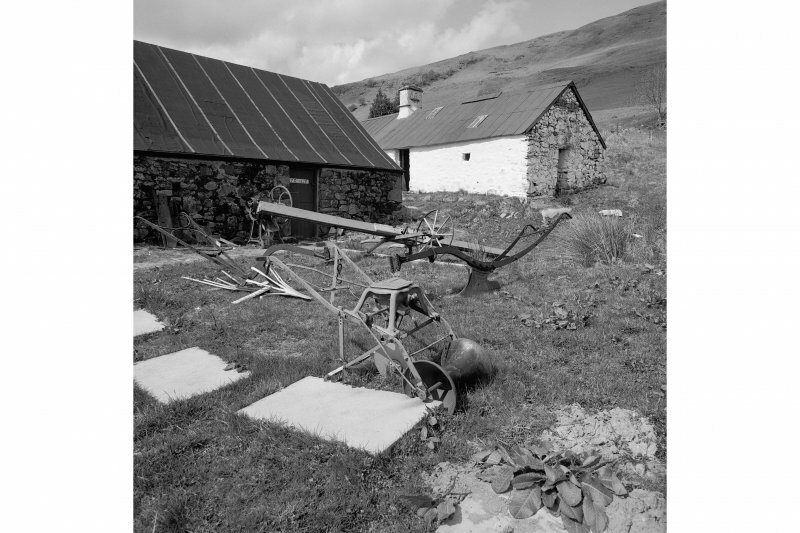 In the early 1980s, the building was excavated and was then ultimately reconstructed to simulate a cottar’s house from the early 19th century. 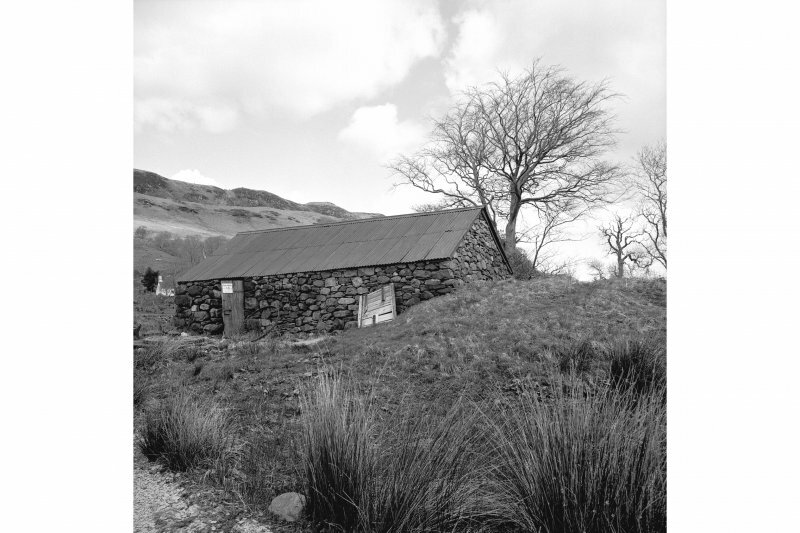 The building was given a cruck-framed roof that was covered in bracken thatch. Since this time, the building has been deliberately left unused and abandoned, and the thatch left to deteriorate, as apparently a township would have always had some unoccupied buildings. 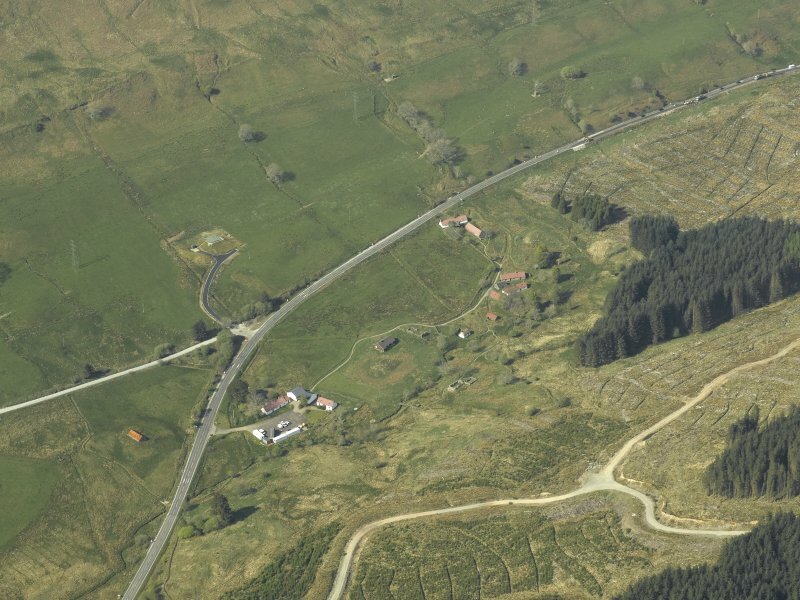 The bracken thatch, which appears to have a continuous bracken ridge, is in a poor condition and is heavily overgrown with grassy vegetation. 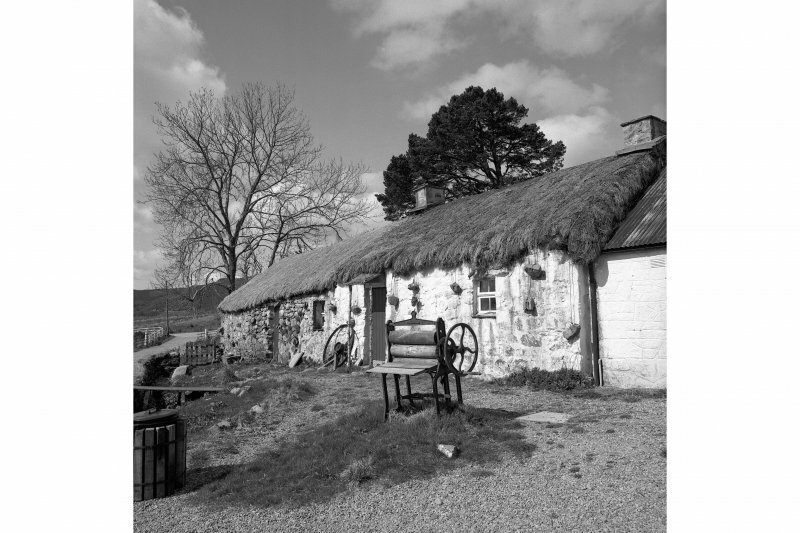 NN 03079 03142 Small traditional cottage, now part of the Auchindrain open-air museum of a traditional Scottish Highland farm township. The building is part of a group listing with 22 other structures all from the late 18th and 19th centuries. 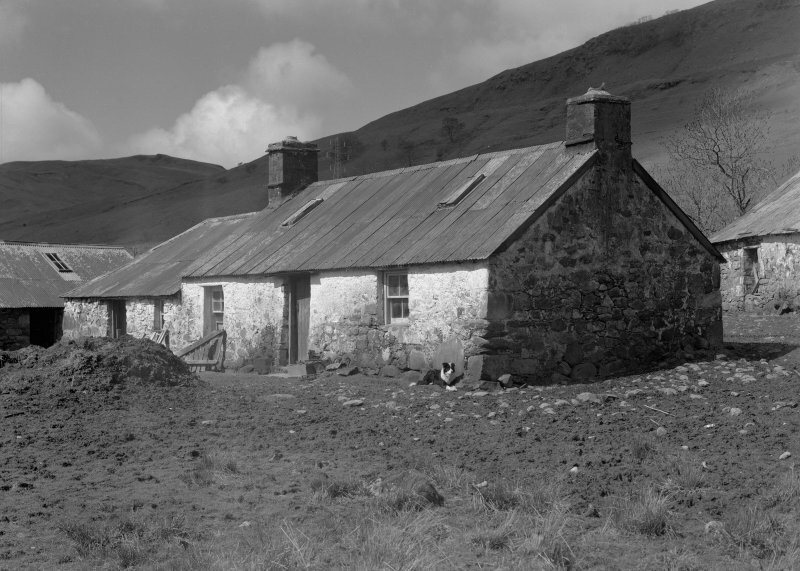 Bell a’Phuill’s House, as it is now known, was occupied by 1841 as a dwelling. 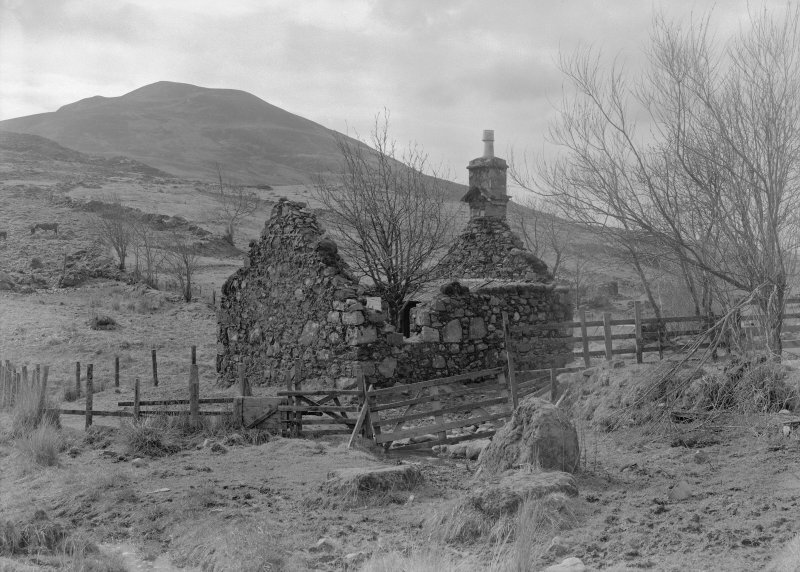 It was lived in until the death of Isabella McCallum (Bell a’Phuill) in 1915 but thereafter fell into disuse, and by 1946 was roofless and derelict. The building was repaired and re-roofed in 1975, and has been regularly re-thatched since. It is thatched in rush, as this material grows in abundance around the site, and was last re-thatched in 2011, receiving a top-dressing in 2012. 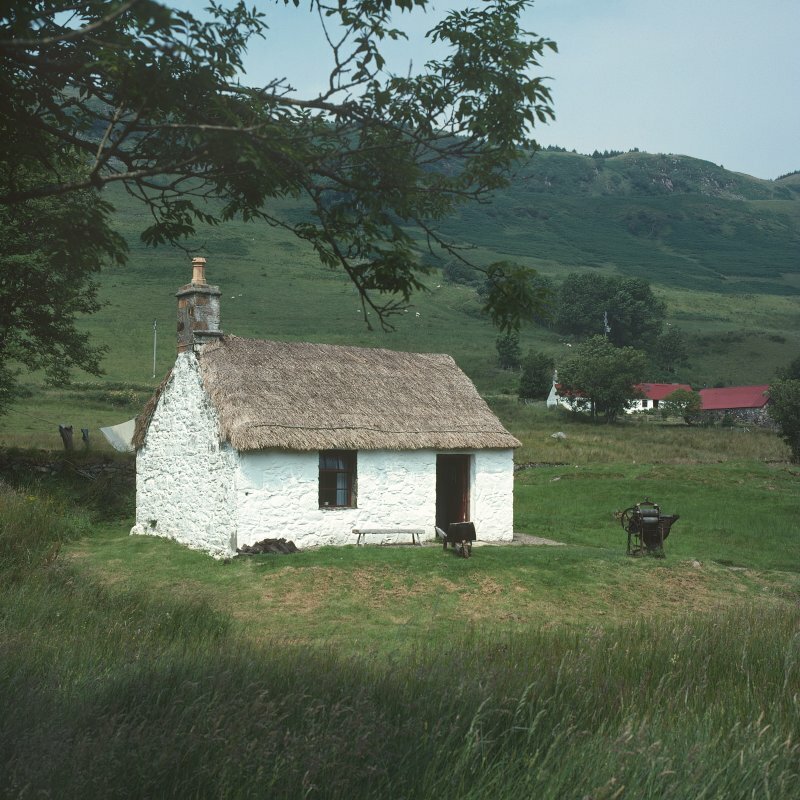 The ridge appears to have been thatched more recently than the rest of the roof, which has an amount of mossy and grassy vegetation growth across the surface of the thatch. The ridge has been scobed with two horizontal lines of thin branch. 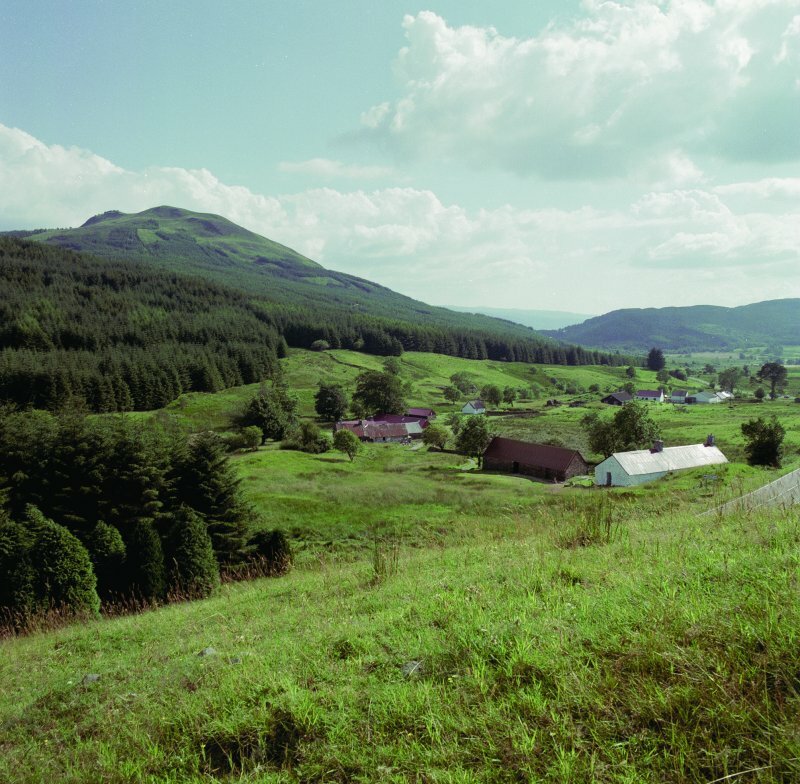 The baile of Auchindrain is situated in the saddle of a bealach between the Leacan Water and the Douglas Water to the south of Inveraray in Lorne. 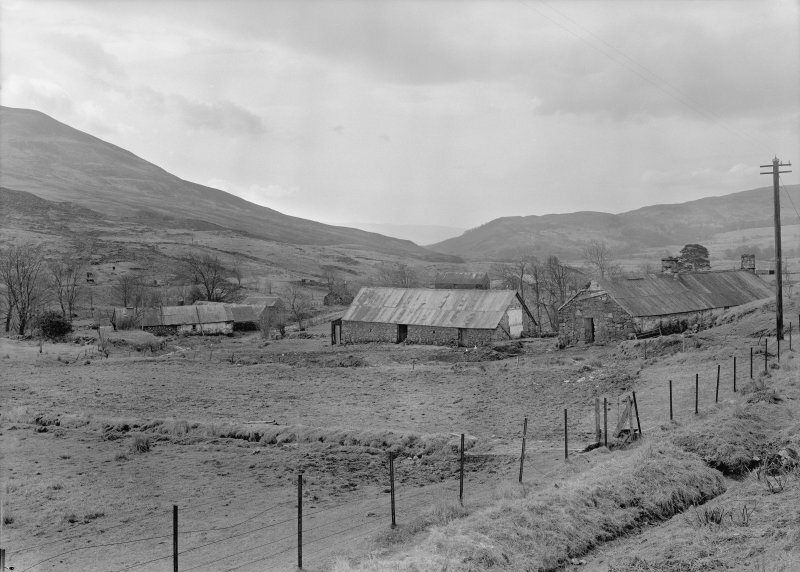 The very place-name Auchindrain (Achadh an Droighinn) is indicative of its marginality. The prefix Achadh means a field and is interpreted as denoting a secondary settlement. 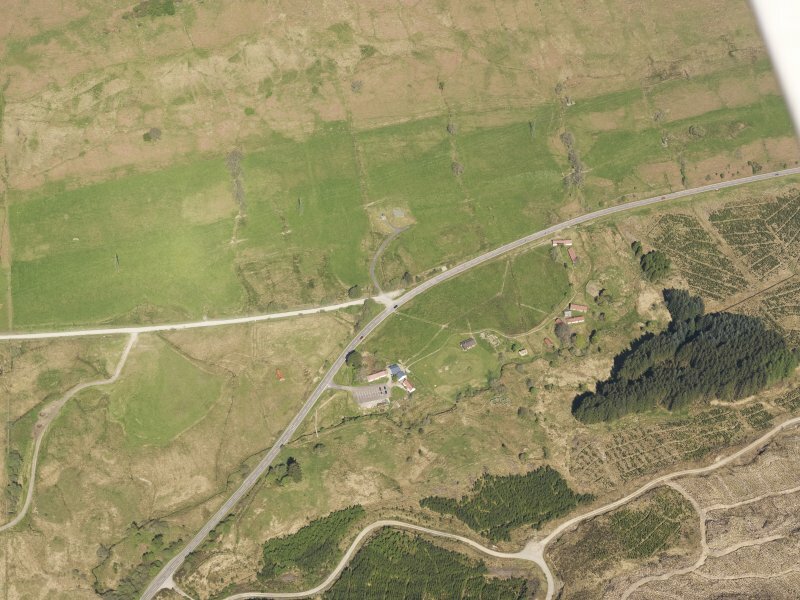 This marginal location suggests that the Auchindrain settlement is secondary, perhaps growing up as an outfield improvement, colonised from the primary settlement at Braleckan sometime in the medieval period. 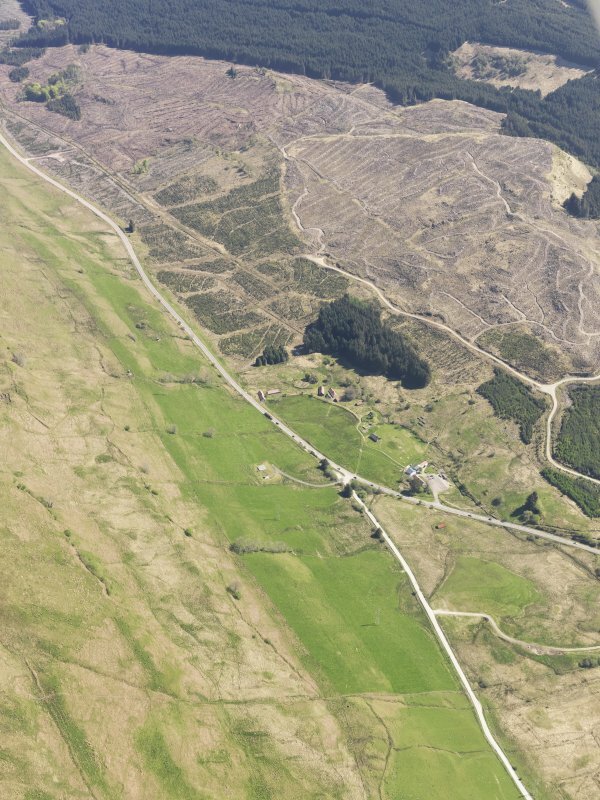 High ridges to the north and south limit cultivable ground to a narrow strip barely 500m across at the march dyke with the neighbouring toun of Braleckan, narrowing to as little as 250m at the watershed. 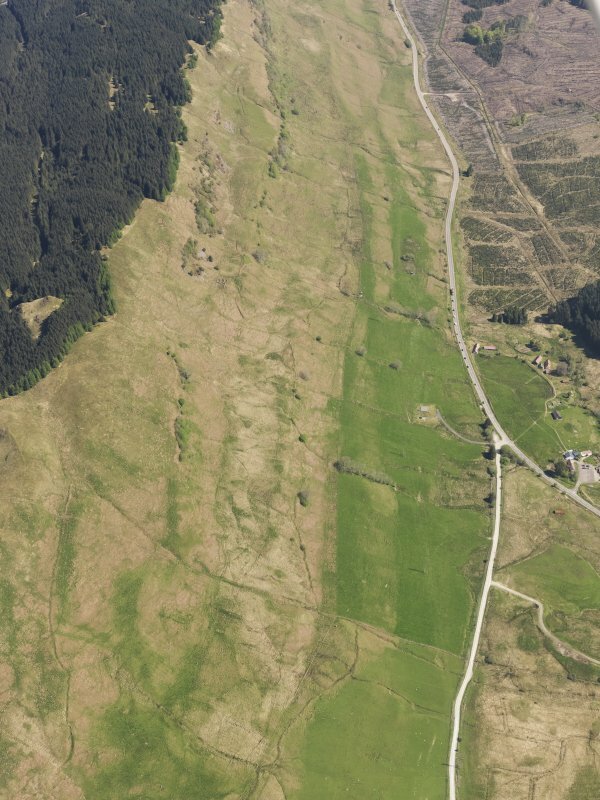 Land suitable for cultivation is limited mainly to the south-facing slope, where there are the fields used for hay and forage crops up until the 1960s. 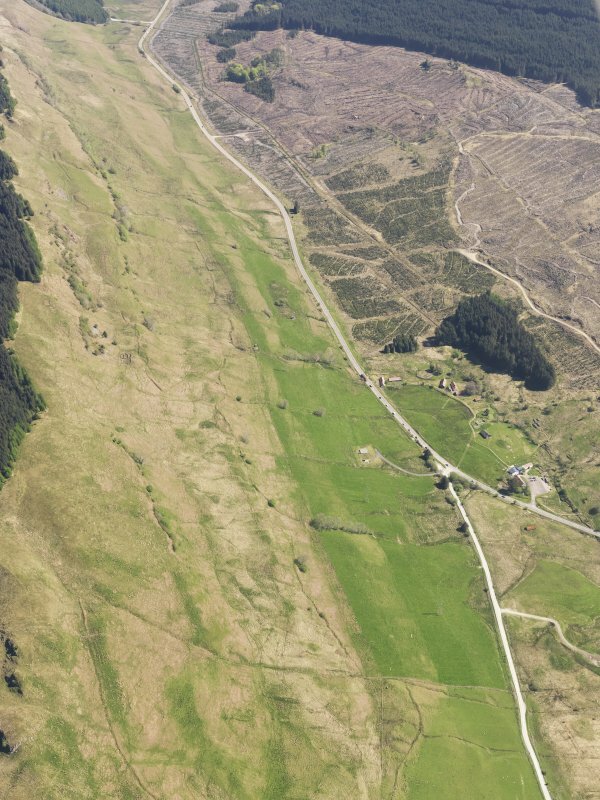 Although separated from the townships of Braleckan, Auchindrain and Killean by about 3.5km of rough ground rising in many places to over 400m, the Douglas Water provided the main area for the summer grazing of cattle until the practice was abandoned. 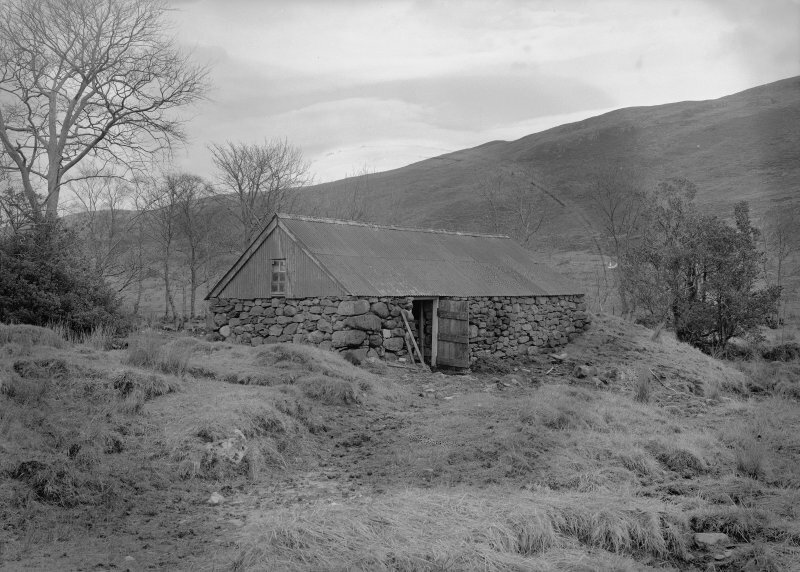 The shieling huts along the Douglas Water presumed to belong to Auchindrain are mostly placed in tributary valleys a little north of the exposed valley-bottom. The majority of its buildings straggle irregularly along the north bank of a small tributary of the Eas a’ Chorabha for about 400m. 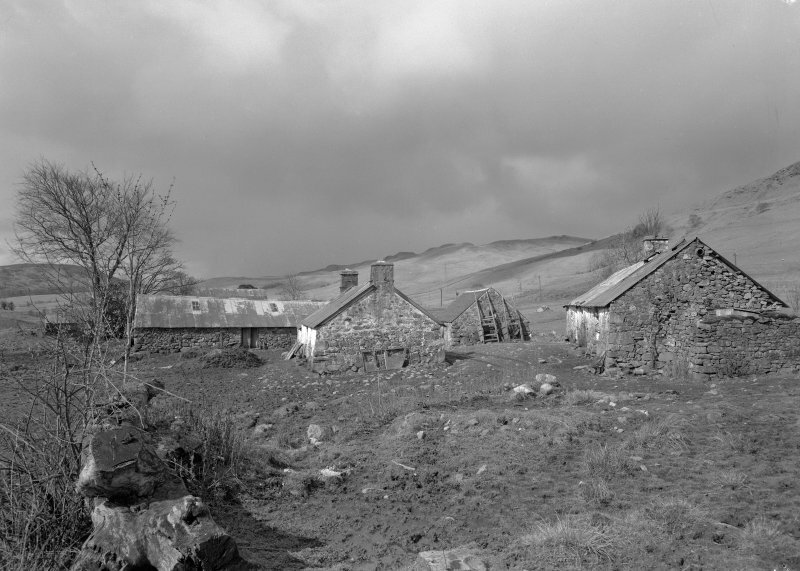 In the 19th century, each tenant’s family appears to have occupied a byre-dwelling, usually associated with a barn, stable and cart-shed as well as a small kailyard and a stackyard, while cottars and tradesmen occupied rather smaller houses. The dwellings at this period were for the most part built on an east-west axis and the doors and windows are concentrated in their S walls, while the barns stand at right angles to them, probably to utilise the prevailing westerly winds in their winnowing-passages. 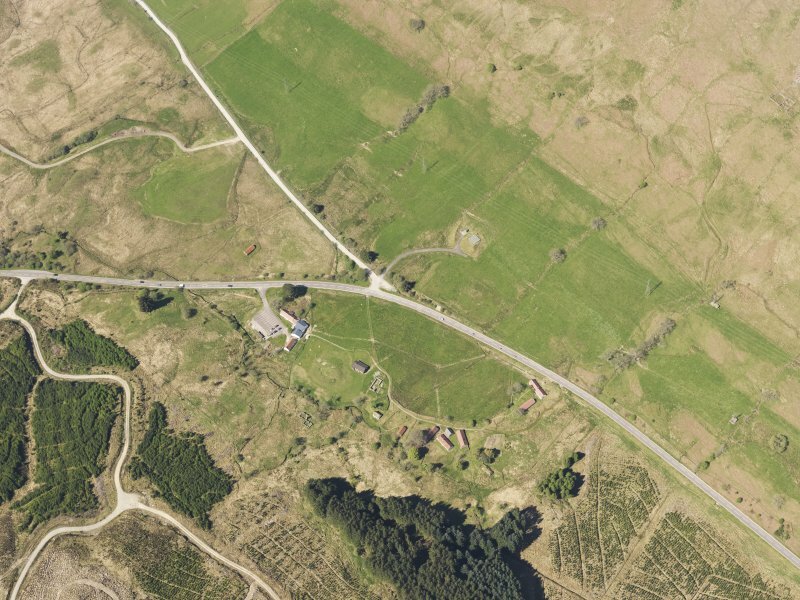 A roadway wound through the township from NE to SW, linking it at each end to the public road, which is here also joined by the former drove-road from Lochaweside. The buildings are of local rubble masonry, originally laid in clay mortar but subsequently rebuilt or pointed with lime mortar. Water-runnels are provided at the bases of the walls where necessary, and many of the buildings are fronted by raised cobbled areas. All comprise a single main storey which may incorporate a loft or half-loft, but some of the dwellings have been provided with attic floors in comparatively recent times. 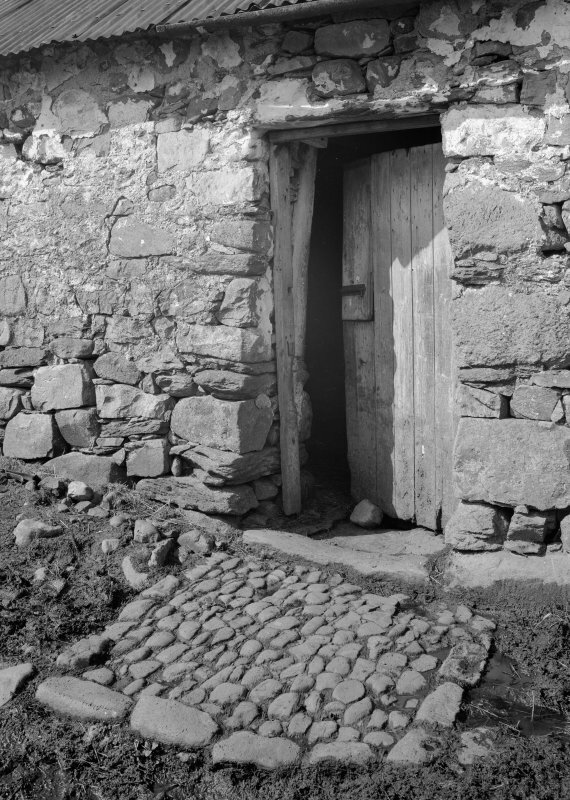 The typical byre-dwelling comprises a ‘room’, closet, kitchen and byre, all disposed linearly under the same roof, with separate entrance-doorways to the house and byre, but with inter-communication between the byre and kitchen. Most of the buildings were originally cruck-framed; each cruck made of two timbers scarf-jointed and pegged at wall-head level. The majority of the crucks were sawn off at wall-head level when the original thatched roofs were replaced by coverings of corrugated iron. Some of the barns and other subsidiary buildings were originally hip-roofed at one or both ends and incorporated a cruck beam placed centrally in the end-walls. 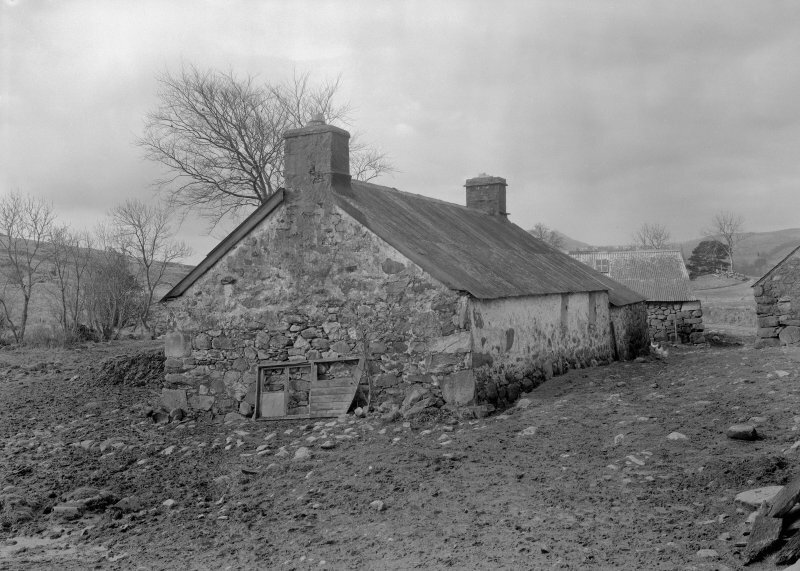 Most of the present byre-dwellings are gable-ended, but one at least of them was originally hip-roofed at the byre end but gable-ended at the house end. The corn-dryer at the south end of Building K is a mid-19th century building, but it was constructed on the site of the earlier kiln barn. 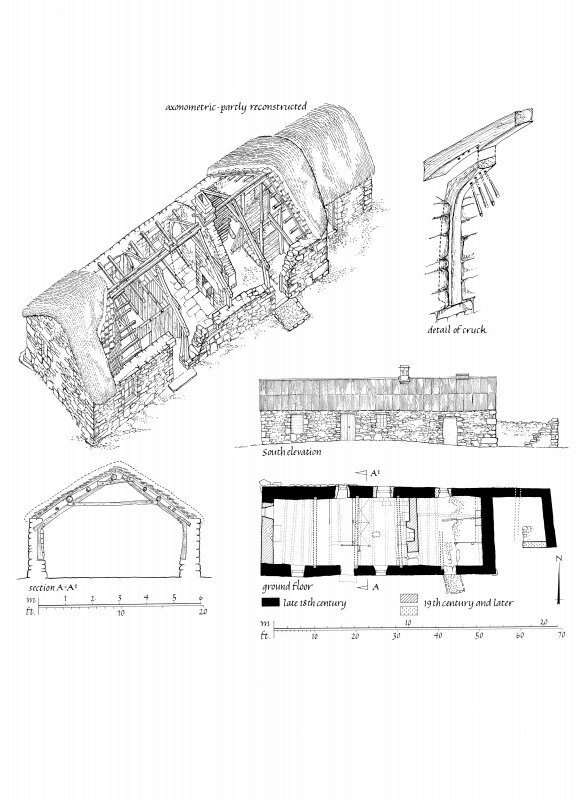 Close examination on the ground revealed that the earlier kiln was a platform type constructed in one end of a barn, typical of those found on the Western Isles. Furthermore, the kiln barn has the type of footings more typical of a pre-improvement building, with a superstructure of turf, or perhaps of wattle and daub. redundant byres. Langland’s estate plan of 1789 (Fairhurst 1968) shows the majority of the buildings were orientated roughly from NW to SE, and it is suggested the primary buildings were those aligned down-slope on this axis. This may be seen at other sites in Argyll abandoned in the 18th century (Blarowin, Glenshira, and Strone Point, Canmore IDs 23639, 40467). 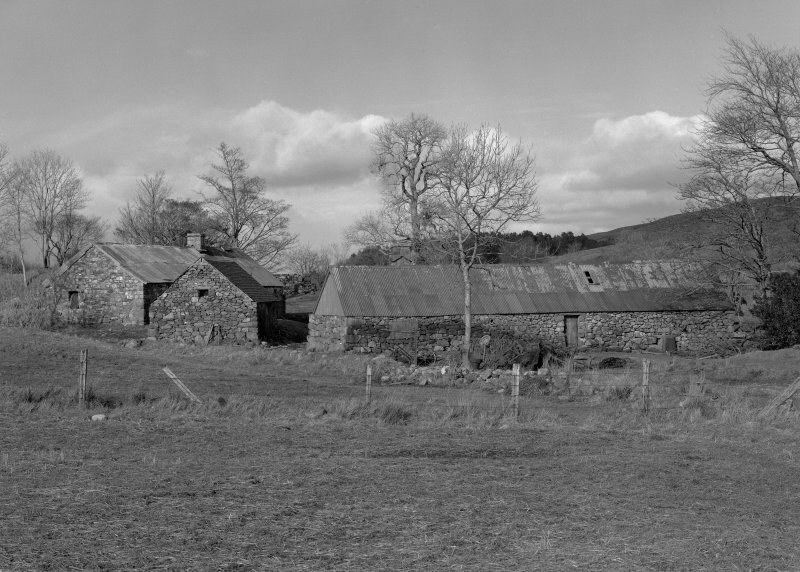 One building, now no longer visible, at the entrance to the site from the public road, had rounded corners when recorded by RCAHMS in 1986. 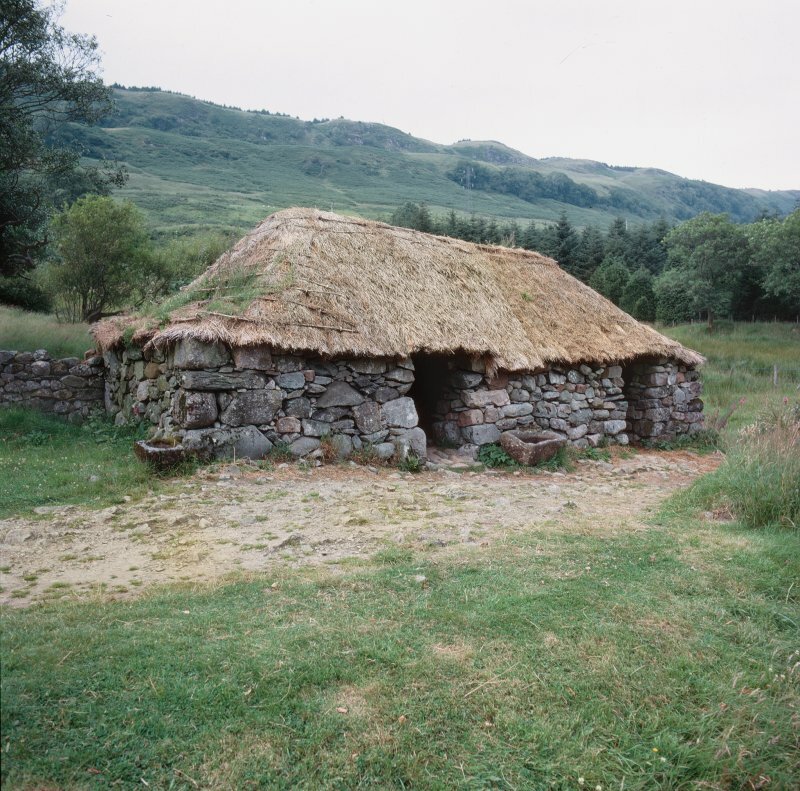 This type of construction appears to be a common architectural feature of excavated medieval buildings in Argyll, such as that excavated at MacEwan’s castle (Canmore ID 39861), or at Loch Glashan. were uncovered and evidence of their pre-abandonment use as a byre and barn exposed.